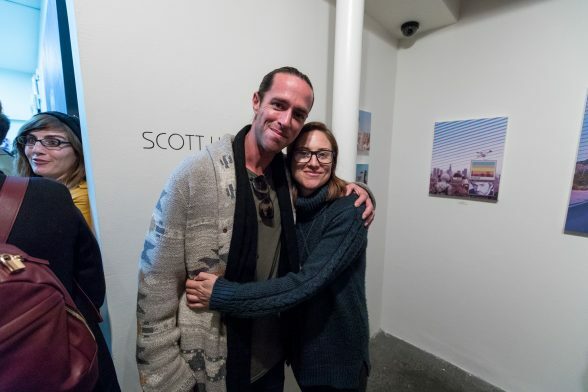 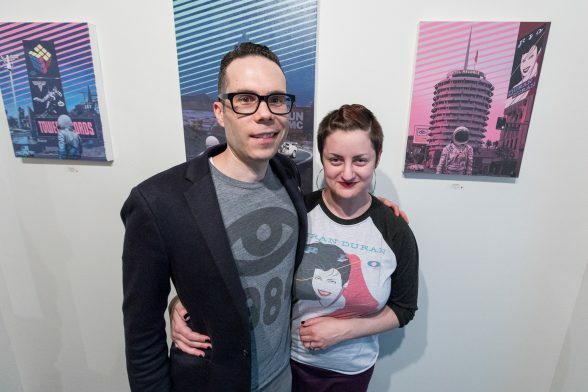 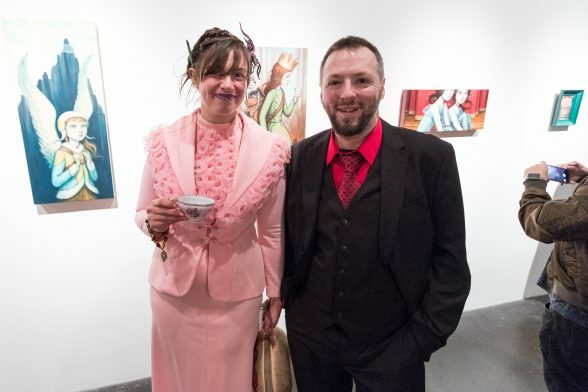 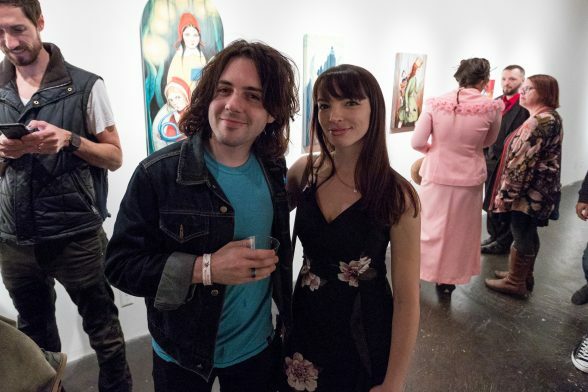 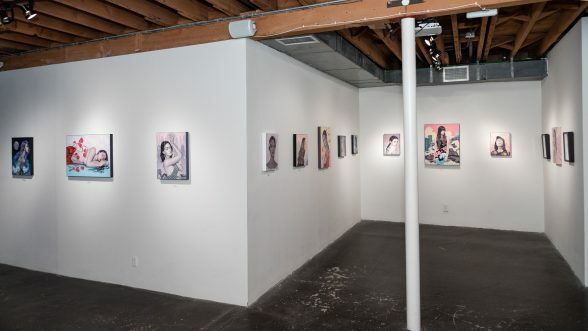 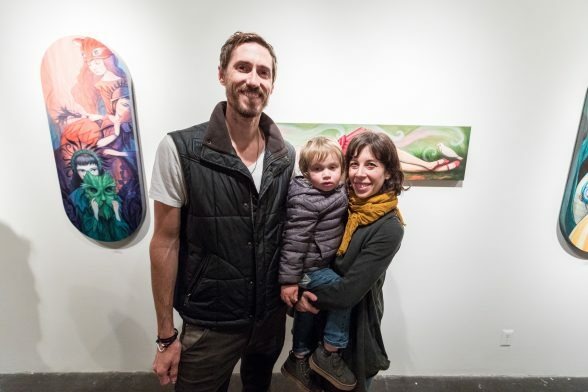 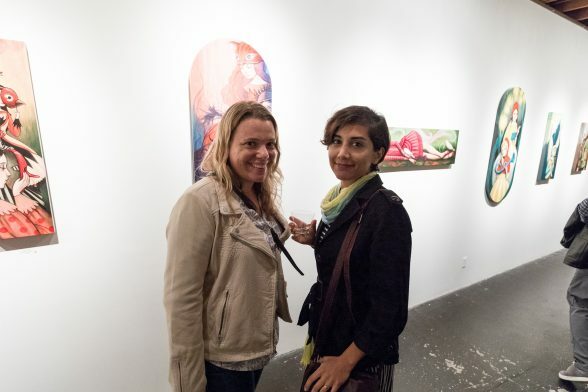 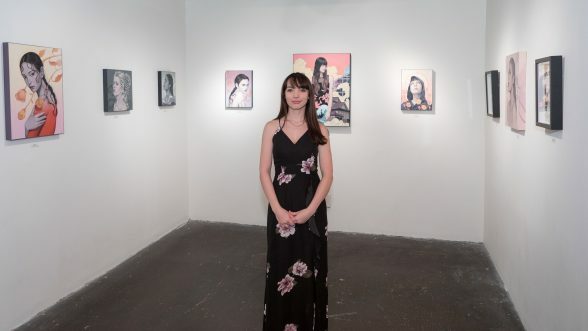 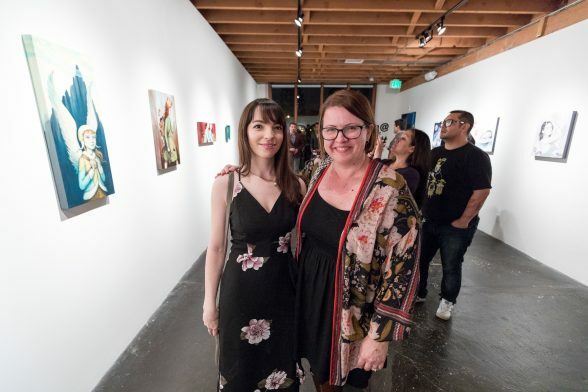 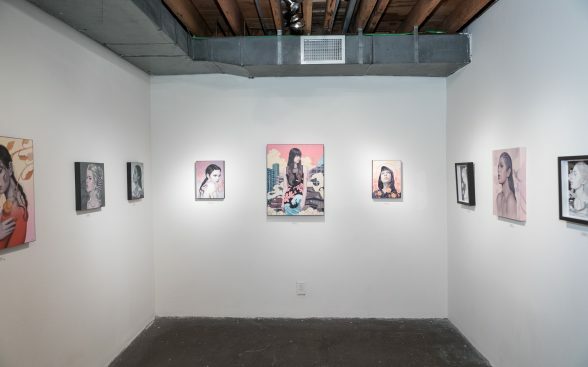 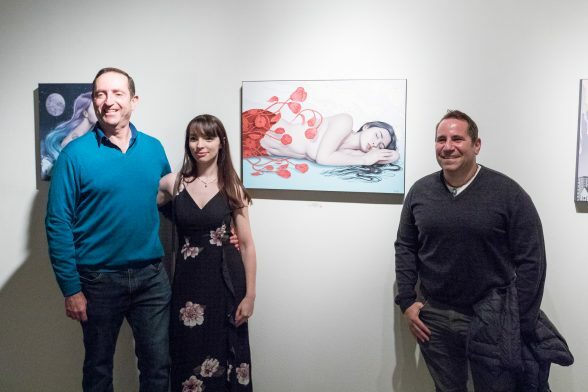 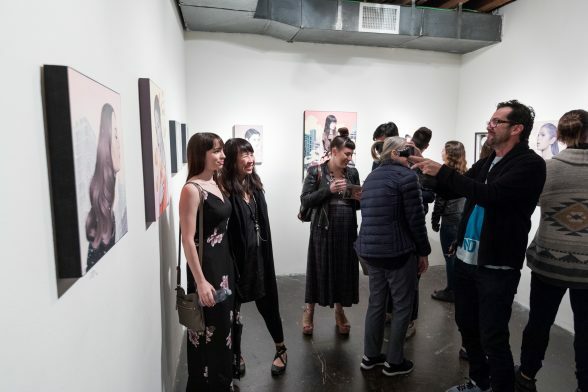 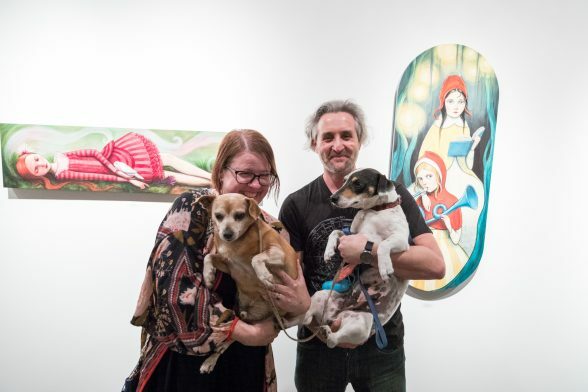 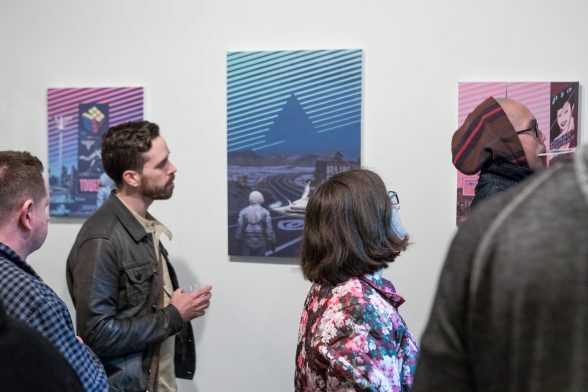 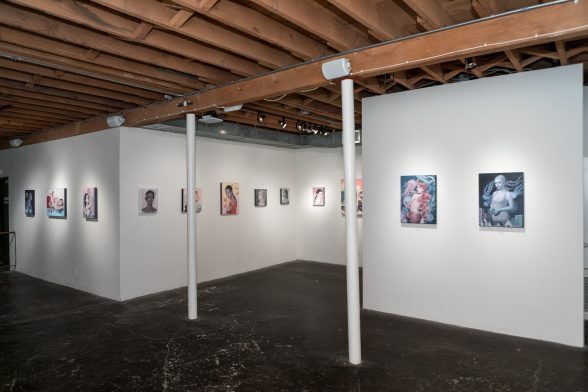 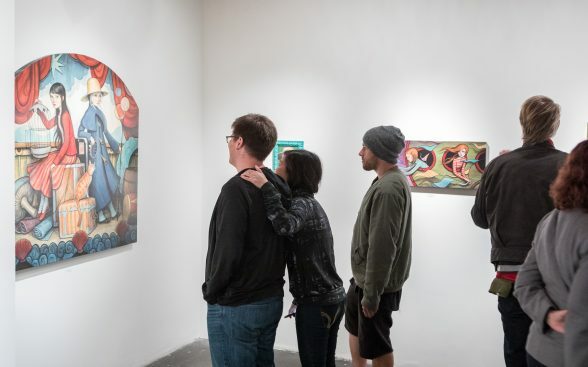 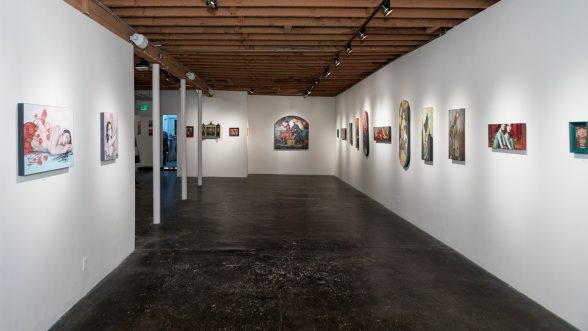 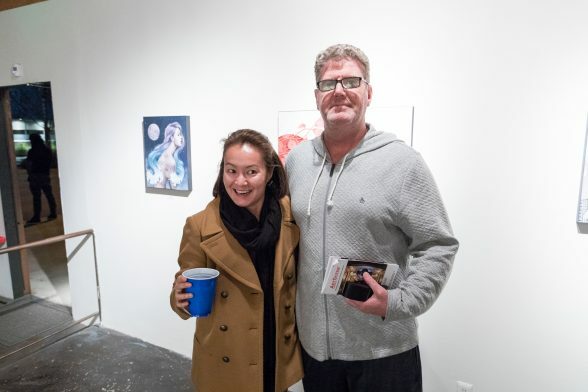 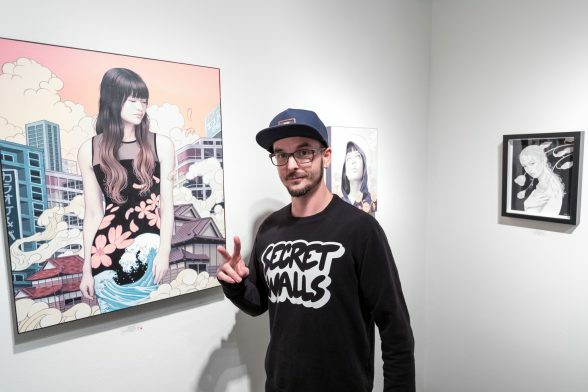 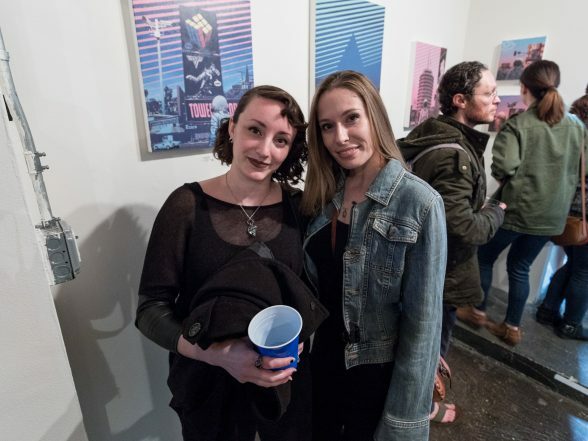 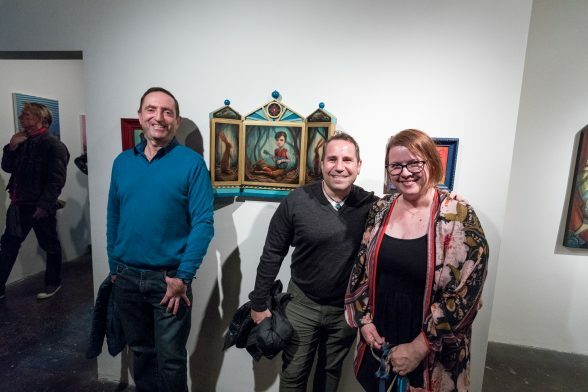 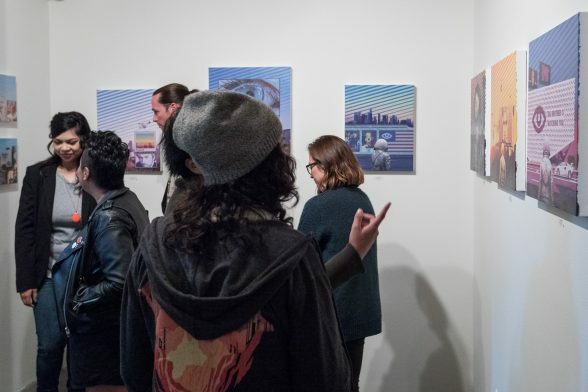 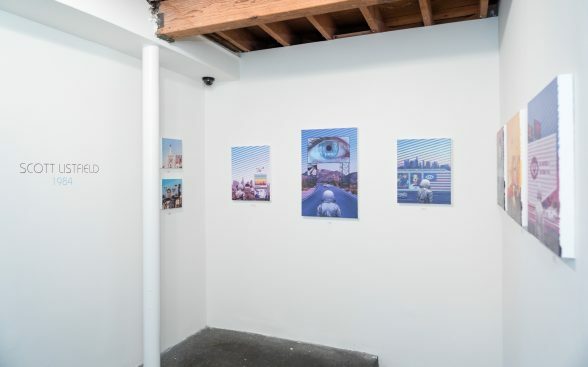 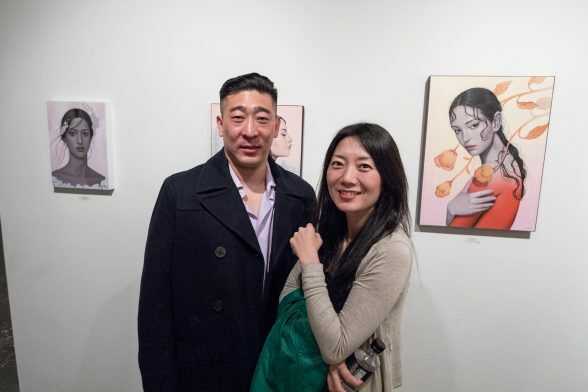 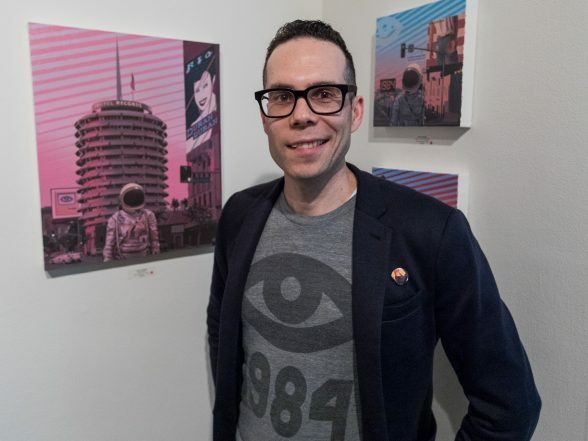 Thank you to all those who made it out to the opening reception of Sarah Joncas and Kelly Vivanco’s latest body of work Betwixt and Between and Scott Listfied’s solo exhibition 1984 in the project room. 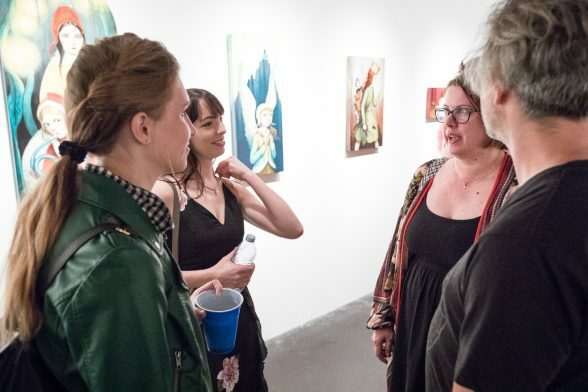 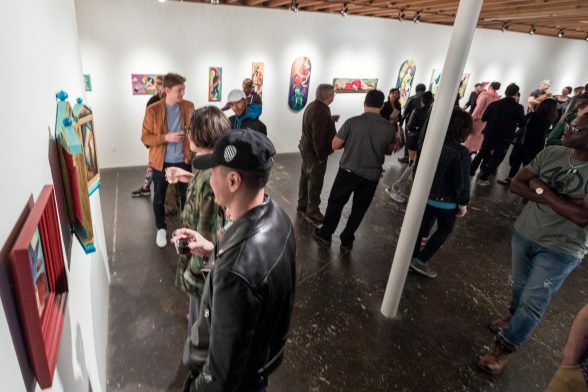 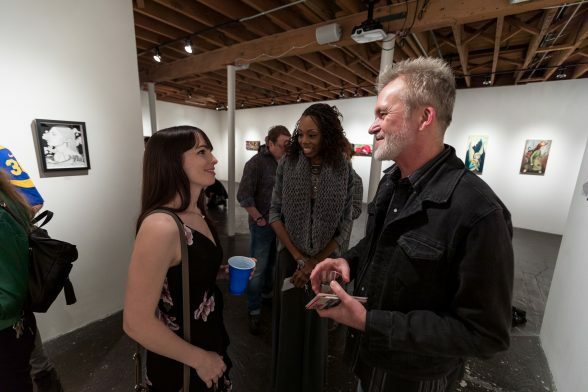 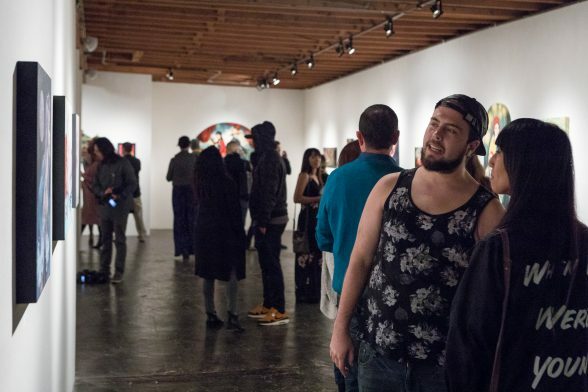 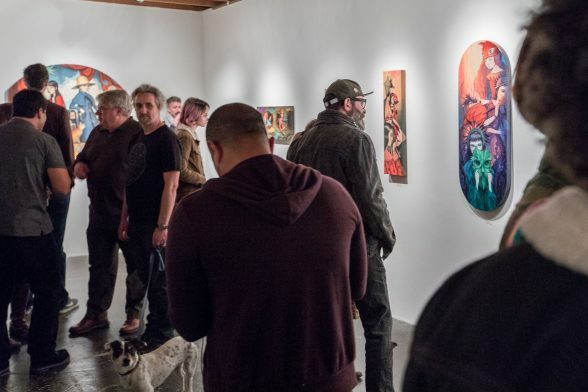 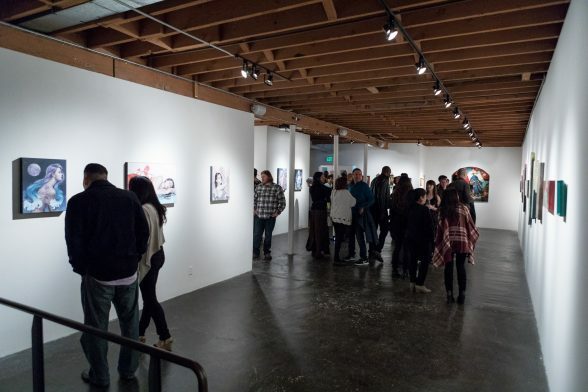 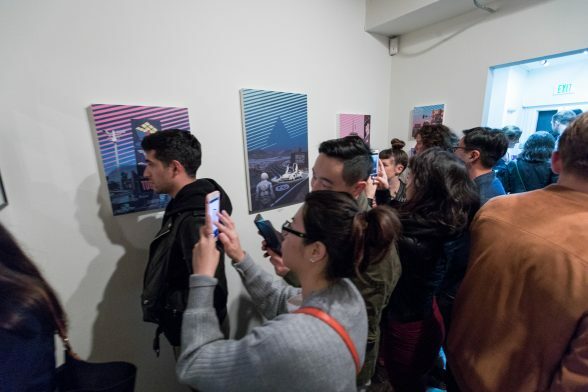 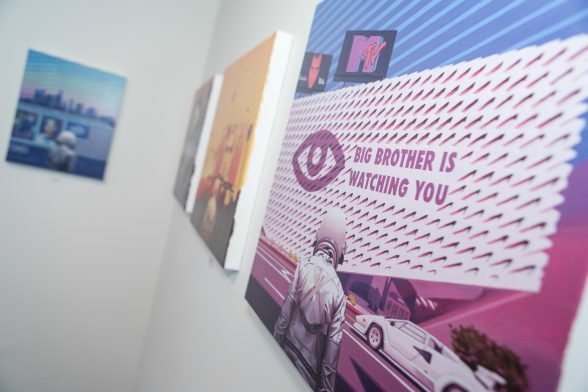 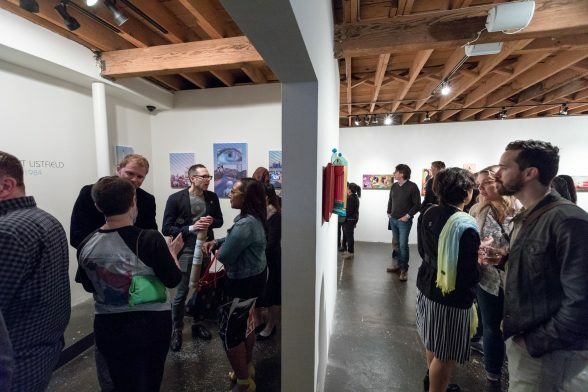 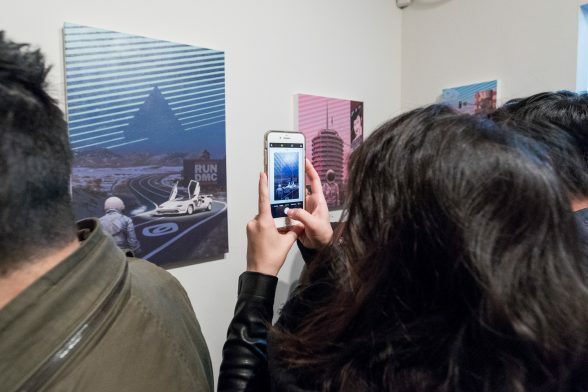 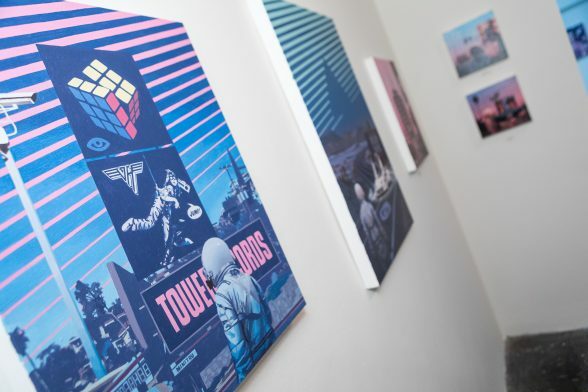 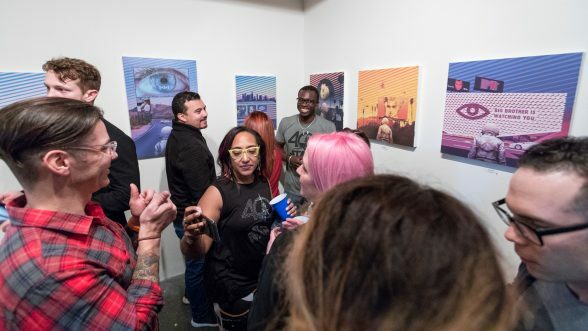 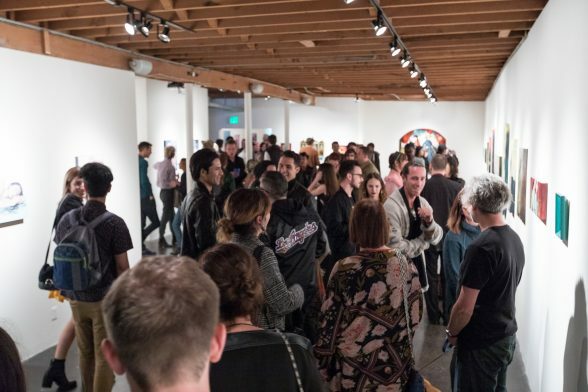 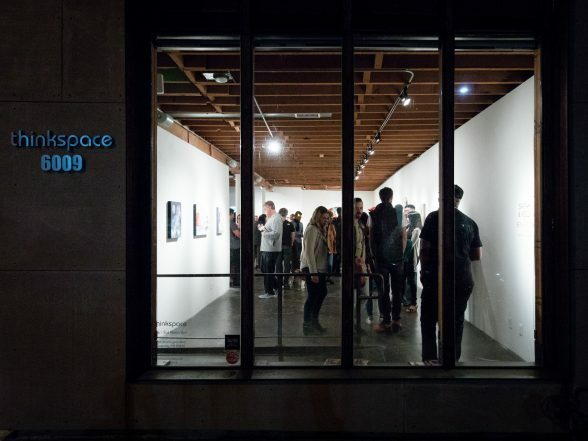 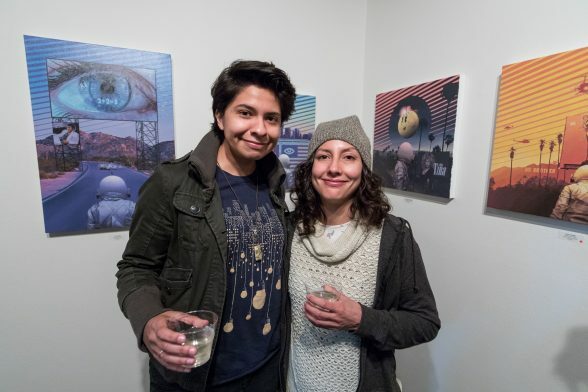 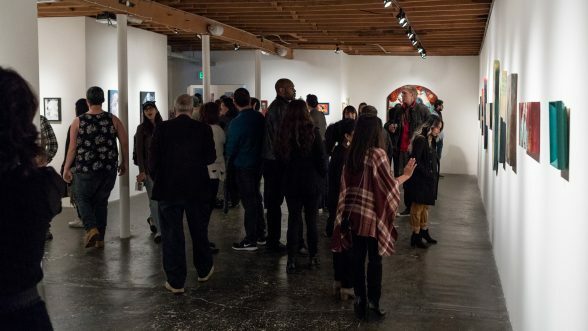 The gallery was filled throughout the evening with fans, friends, and family all excited for Thinkspace Projects first show of 2018. 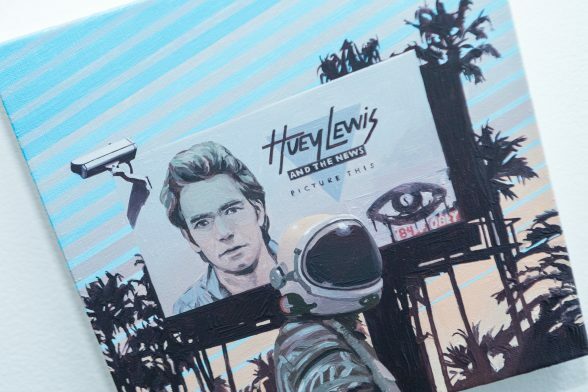 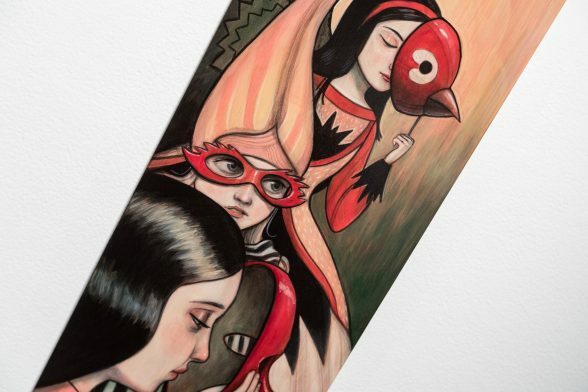 There are still a few pieces available from each artist, but not many, so check them out soon! 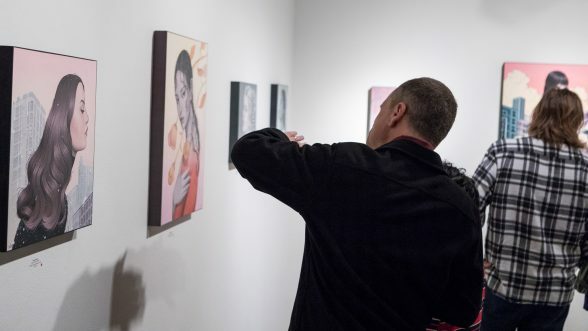 The exhibitions are on view now through January 27th. 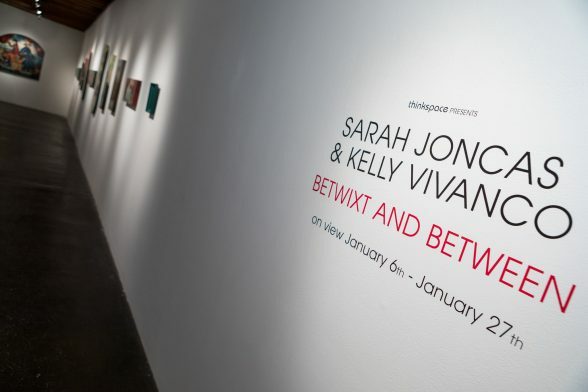 Opening reception Saturday, January 6th from 6 to 9 pm. 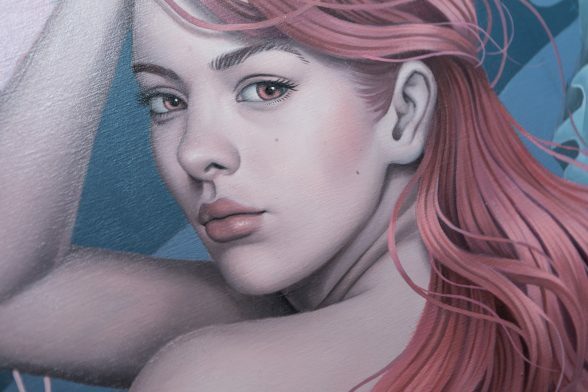 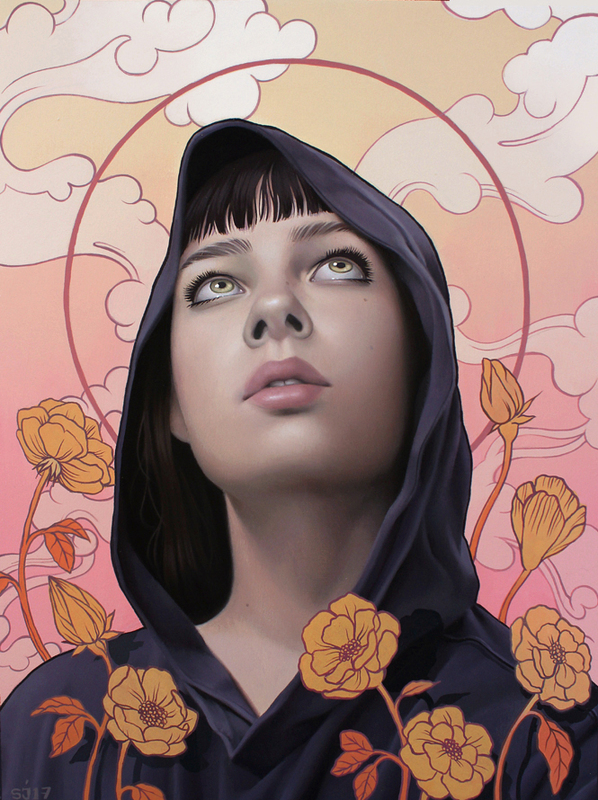 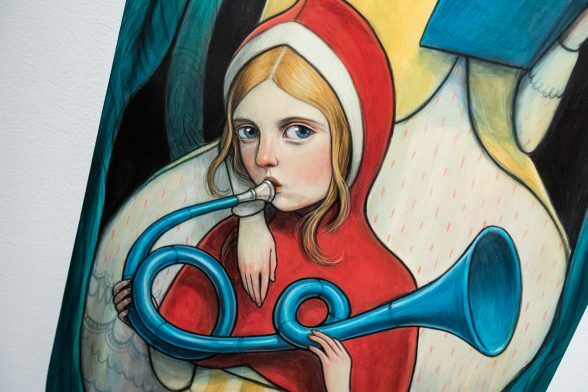 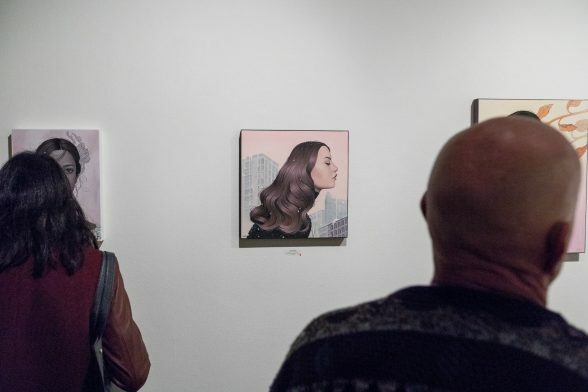 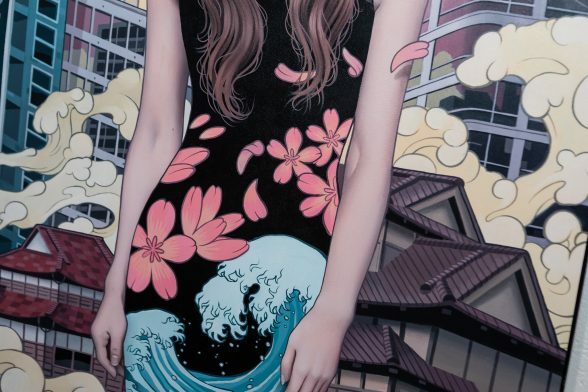 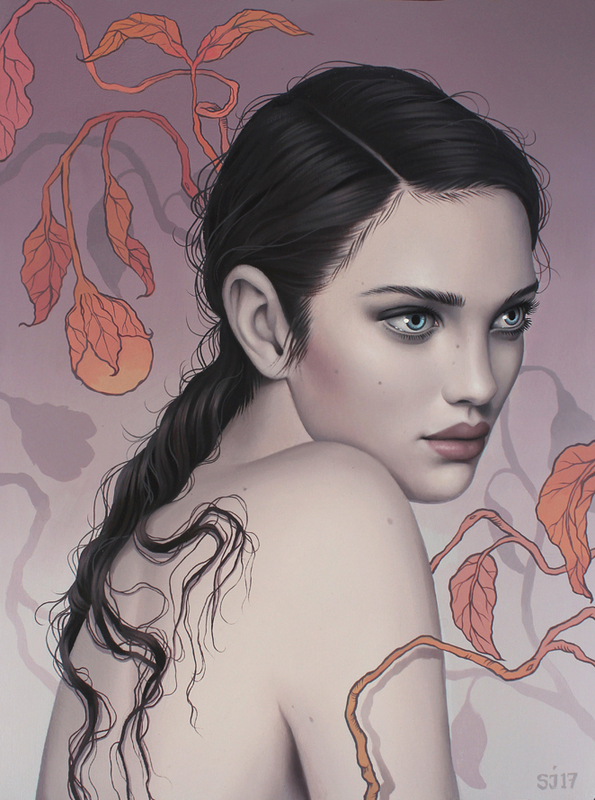 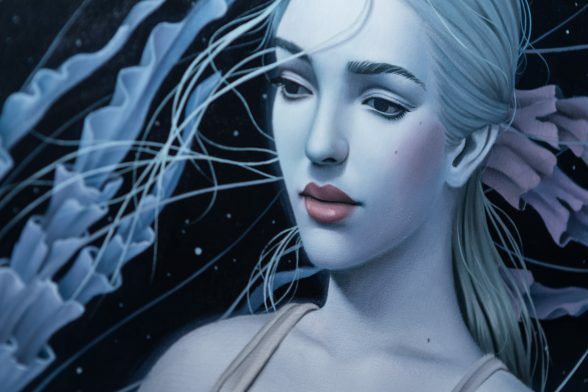 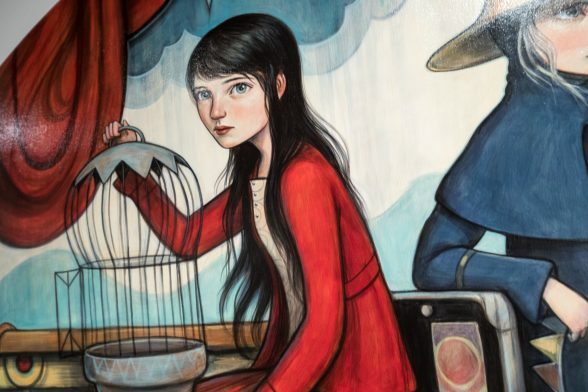 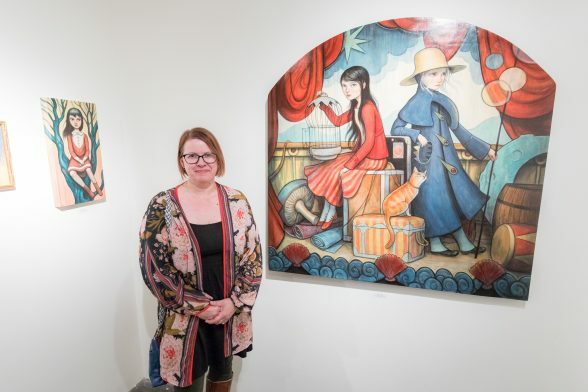 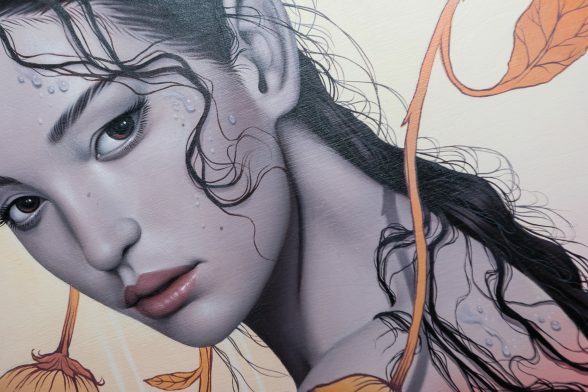 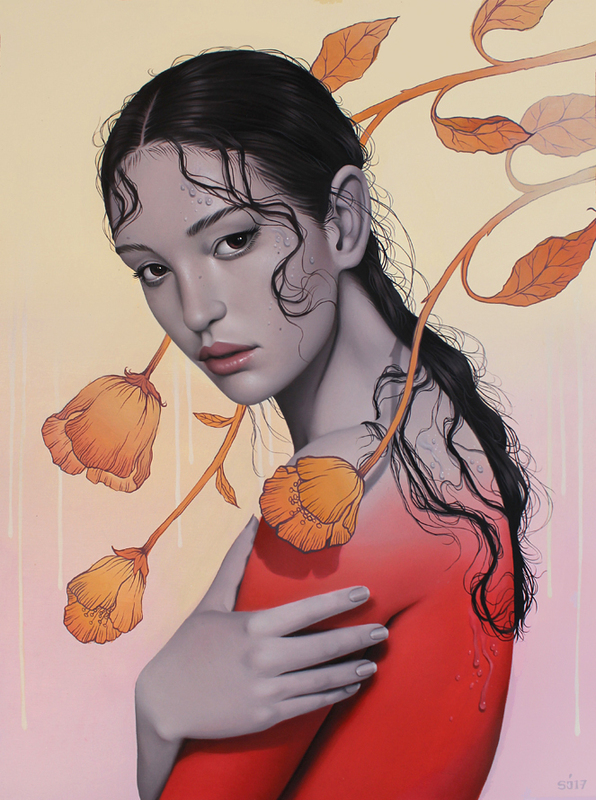 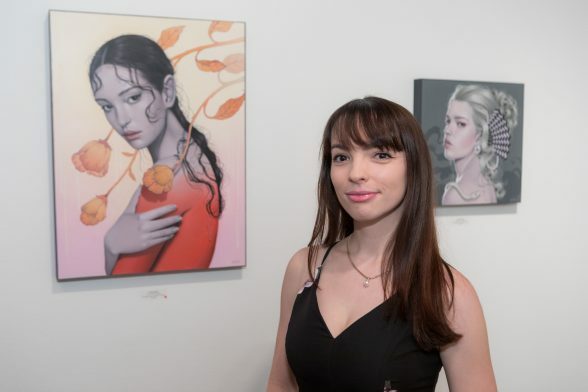 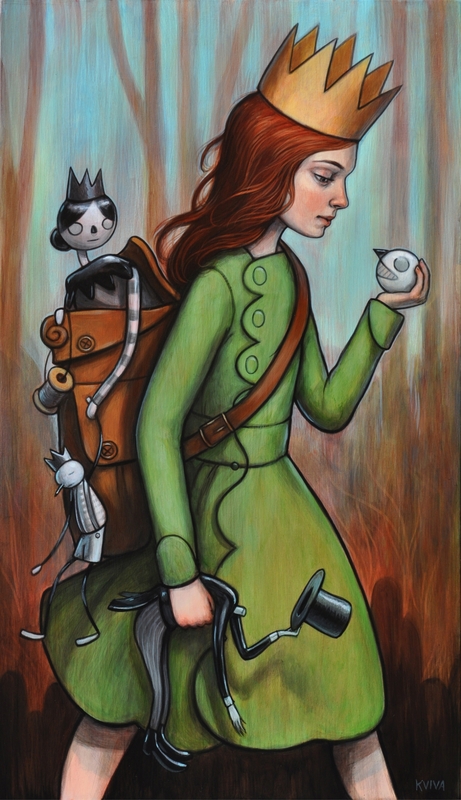 Thinkspace is pleased to present new works by Canadian artist Sarah Joncas and Southern Californian artist Kelly Vivanco in Betwixt and Between. 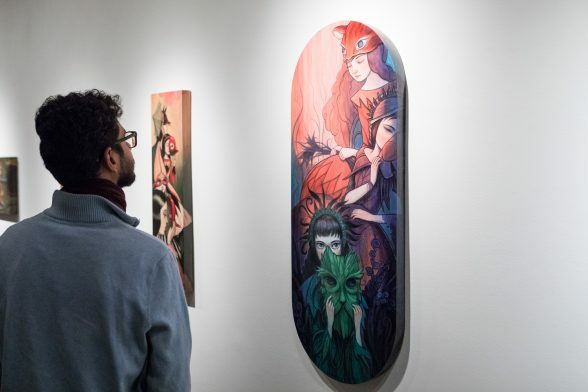 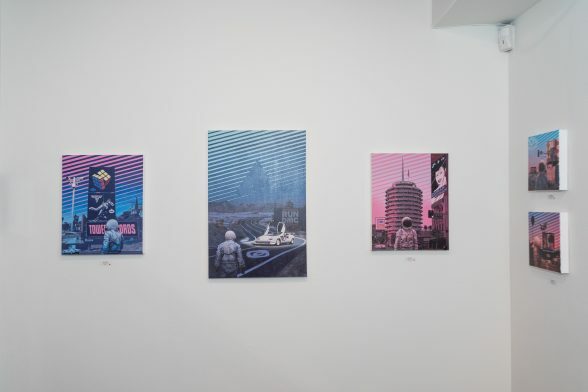 An exhibition about the creative potential of unscripted spaces and the generative possibility of in-betweens, Joncas and Vivanco, forego the limits of the aphoristic for the contiguous freedom of the fable. 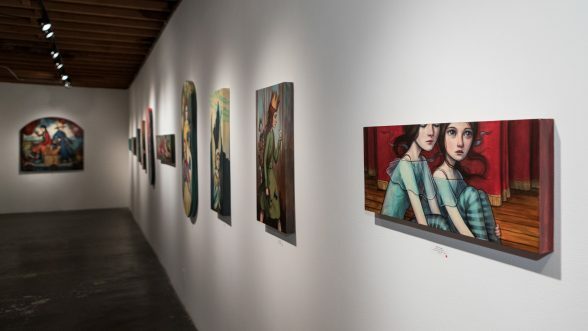 Both create narrative-based works that embrace the ambiguity and imaginative potential of the subconscious. 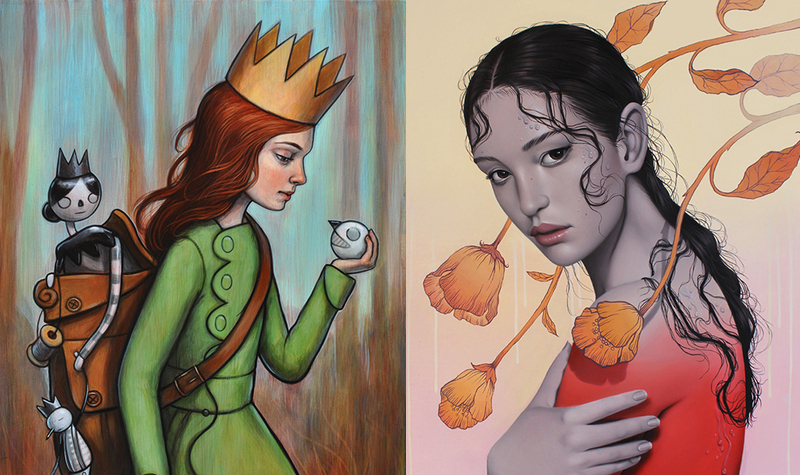 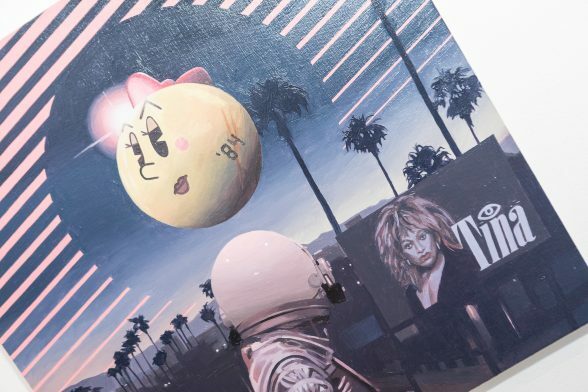 Creatively playful with elements of the surreal, they capture a feeling of melancholia and aesthetic nostalgia in their styles, Joncas with her cinematic invocation of neo-noir film and Vivanco with imagery influenced by classic fairytales and vintage illustration. 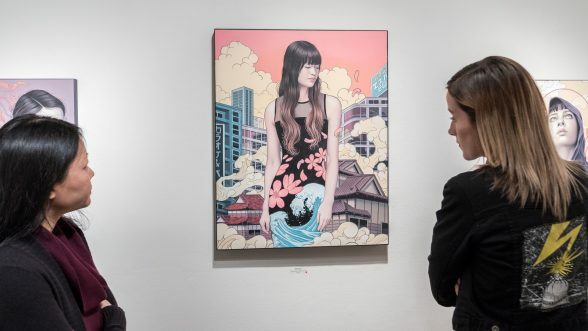 Fundamentally, both artists’ work offers an intrinsic pleasure in viewing and the kind of escapism possible only in worlds that lie beyond rationally dictated limits.